Best presents Calgary - Buta boutique omline store. All designs are inspired by nature of Azerbaijan, as well as ancient and modern art, including architecture, interior decoration, carpet motives and national clothing elements. Designs are produced in limited editions and from season to season some of them are being changed to include trend colors and details. "Concept of brand Salamakhina is to create rich, colourful and detailed prints, that will stand out immediately and add the striking detail to your look." 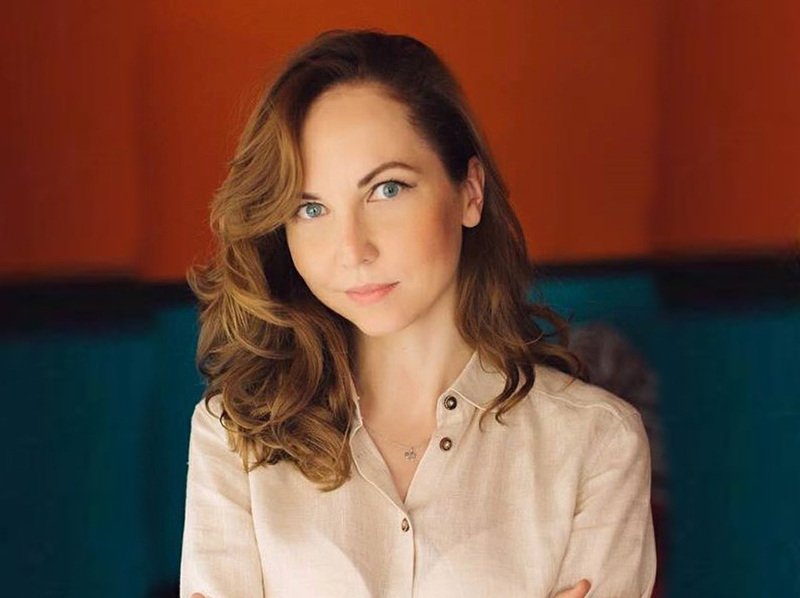 Elena is a young and promising designer from Kiev, Ukraine. She is an artist, and it happened so that everything in her life is inextricably linked with color. At some point, the tactile pleasure of texture and color solutions flowed smoothly from the surface of the canvas into objects that are eager of many fashionistas. Creating jewelry fills her with childish delight. It is usually a chaotic process for her, very often with an unpredictable result. Each Accentuate Jewelry necklace is exclusive and is entirely handmade, is endowed with its own character and personality, as jewelry place emphasis! One of the famous people said that the clothes are history, and accessories are its details, it is impossible without them. Elena keeps it in her mind and gets the enormous pleasure from the process of creation, even more from the initial impulse, and, of course, from the finished work. 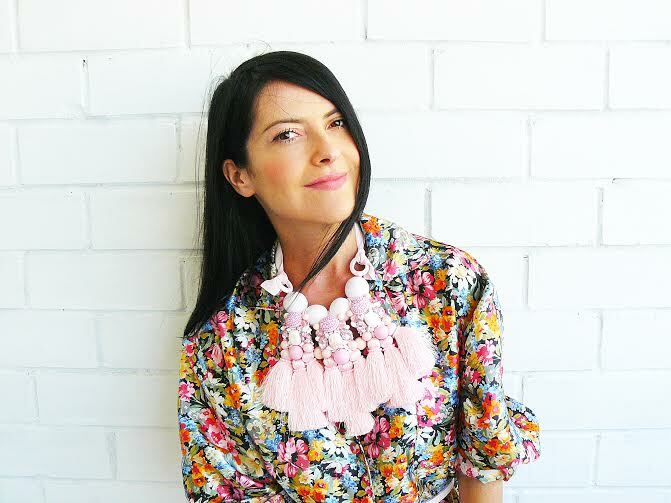 "My necklaces with tassels are vitamins! Wearing jewelry lifts up the owner’s mood, brings the feeling of happiness, harmony, and joy." 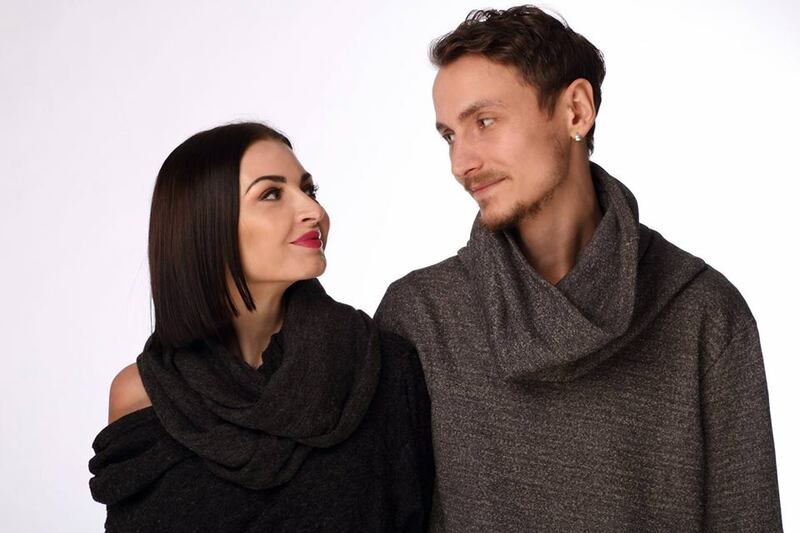 "Woodoo" is an ambitious young brand, established in 2014 by two Ukrainian Designers. "Woodoo Jewellery" are mainly handmade with minimal use of tools and the process of their creation is completely authentic. Every piece is made of exotic precious species of wood so reduplication is almost impossible, which makes these products very unique. The idea behind this unique Brand is to explain to people the value and significance of the wood. The precious types of wood are of the same worth as compared to valuable metals and stones. These types of wood carry the spirit of those places where they grow. Some species of wood that are used in the "Woodoo" collections are thousands of years old. "Woodoo" Designers just adapt customary values to nowadays trends. "Fashion and trends are constantly changing, but ethnic accessories don't lose their popularity over hundreds of years over time." Azerbaijan Silk presents silk scarves made in Azerbaijan. All scarves are 100% silk handmade according to the traditional production methods (from weaving silk thread and till applying of the pattern manually). 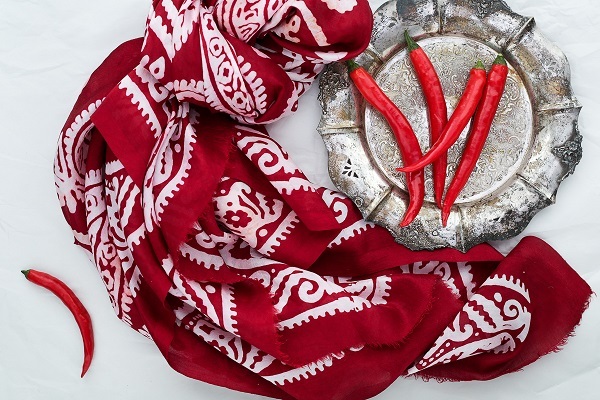 Kelagayi is an Azerbaijani national headscarf ornamented in "basmanakhish" technique, the ancient stamping method similar to the technique of batik using the wax and natural dyes. Kelagayi has been produced in Azerbaijan since the very ancient times. Many of Azerbaijani cities were always famous for high quality silk production. The important part of any Kelagayi is a pattern. The main figure used in Kelagayi is buta. Kelagayi makers use special color essences in the design process. Those of blue, red, mandarin, yellow, violet and purple colors are made from various plants, in particular, barberry, wild orange, wild apple, saffron, currant, hornbeam tree, and broom roots. "Kelagayi as a symbol of beauty, grace and honor. In November 2014 Azerbaijan Kelagayi was includedin the UNESCO’s Representative List of the Intangible Cultural Heritage of Humanity." Fashion Designer Specializing in Fabric Prints and Scarves. 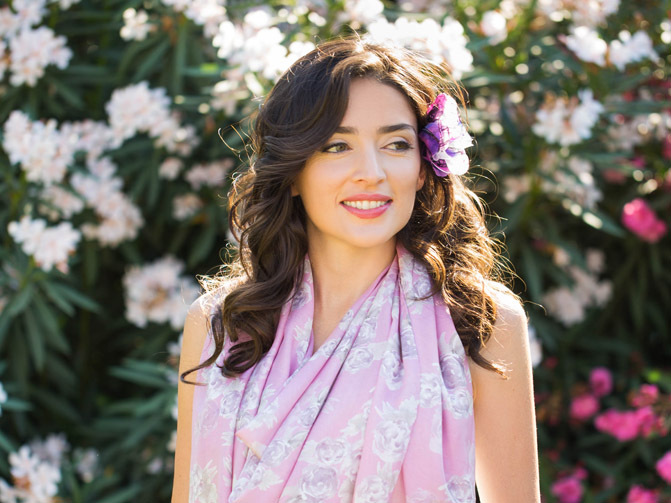 Founded in 2012, Menzer Hajiyeva specializes in handmade silk scarves for women. Detailed workmanship and exquisite fabrics combine to make each scarf an expression of individuality. Menzer Hajiyeva company is motivated to modernize authentic themes of Azerbaijan’s history and culture through brand’s products and expose them locally and internationally. The designer uses luxurious fabrics such as silk, wool, cashmere and cotton and works with various printing mediums; batik, digital printing and screen-printing. Each collection is carefully refined to portray a certain inspiration and mood. Menzer Hajiyeva is a brand that brings together culture, fashion and craftsmanship. "Mixing tradition with modernity we create wearable art inspired by Azerbaijan's rich cultural heritage." Ethnic Accessories, cozy hand-knit slipper socks. Azerbaijani Socks' vision is to provide fairly paid, flexible employment for women in the rural parts of Azerbaijan, through a craft that has continued for generations, and to provide a cozy, handmade, unique, quality product to sell outside of Azerbaijan. These socks are knit in homes, allowing women to work from home to earn income for their families. Each sock is made with unique colors and designs. These socks are a combination of high quality yarn, hours of labor, and modernized versions of traditional designs. "Your purchase of these socks helps women earn much needed additional income and provides deeper purpose and hope in their lives." A young company based in Chile, South America. This brand features original, high-quality design. All products begin traditionally, with ideas and sketches. Rioringo generally likes the traditional approach with its attention to meaning and details.They use CAD and 3D printers; however, the most delicate operations, such as polishing, applying enamel, and assembling are all done manually. Rioringo is passionate about their work - their art; therefore, they only embody ideas in materials that are worthy of respect. All jewelry is made only from traditional materials – silver and enamel. "When you are surrounded by beauty, it is difficult not to create and so... we create. Our Eco style reflects and honors nature."